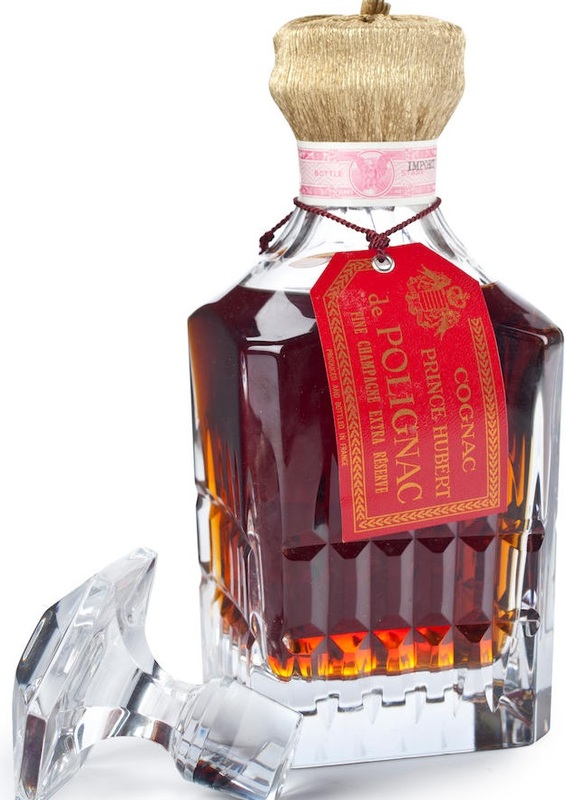 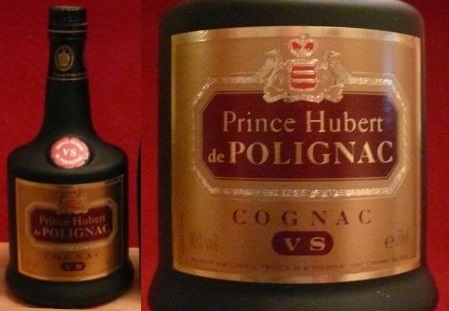 Prince Hubert de Polignac is one of the two most important brand names of Unicoop. 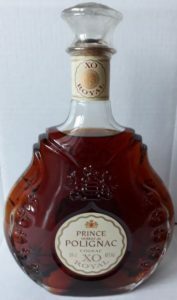 The other one is H. Mounier. 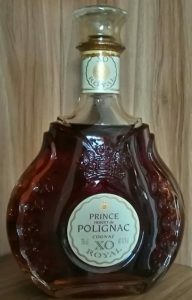 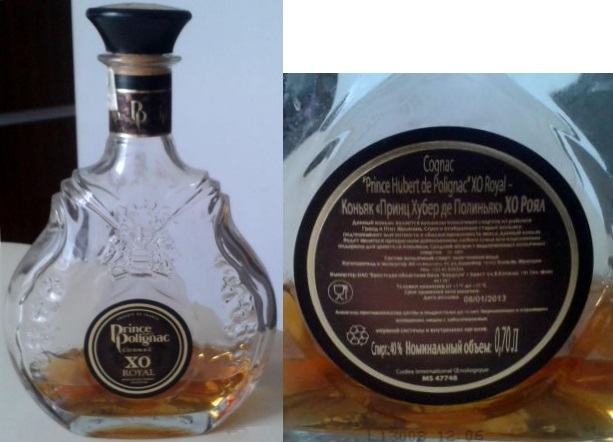 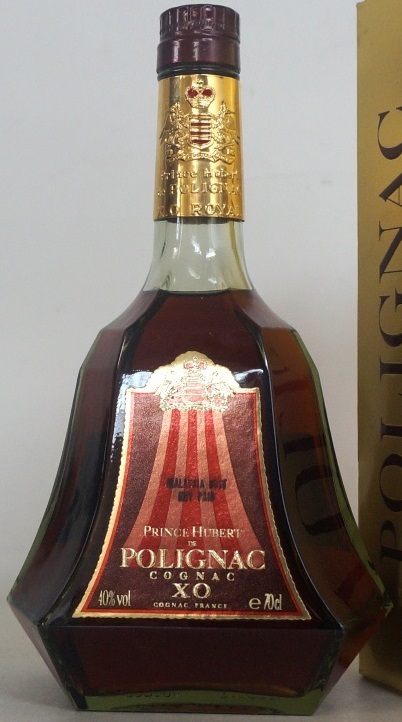 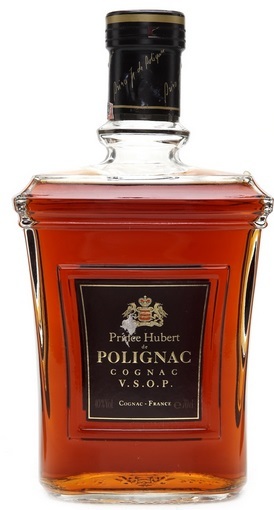 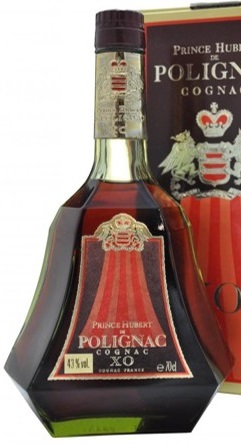 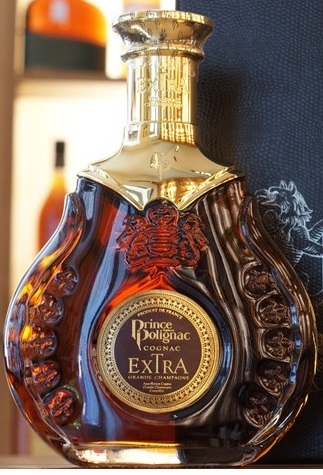 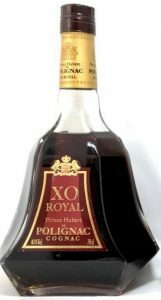 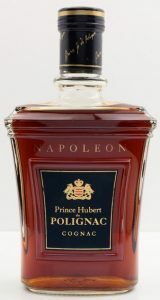 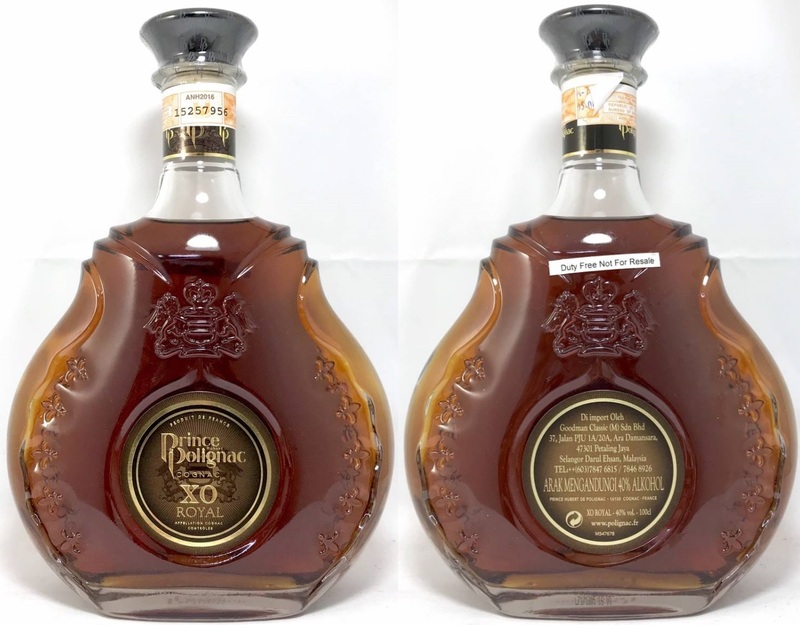 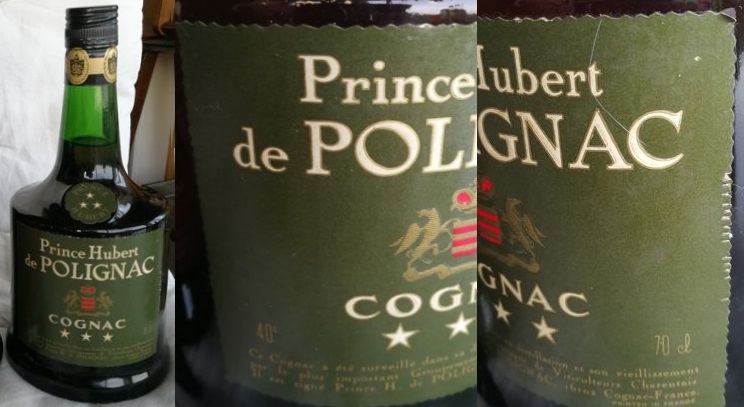 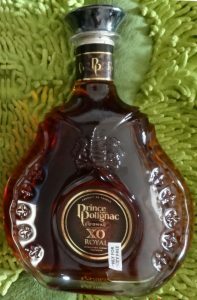 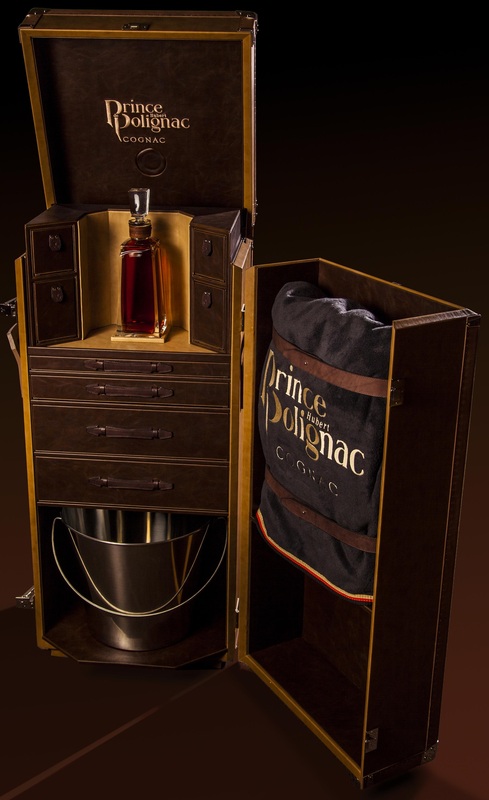 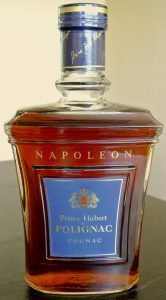 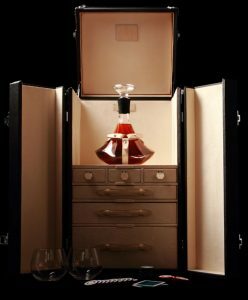 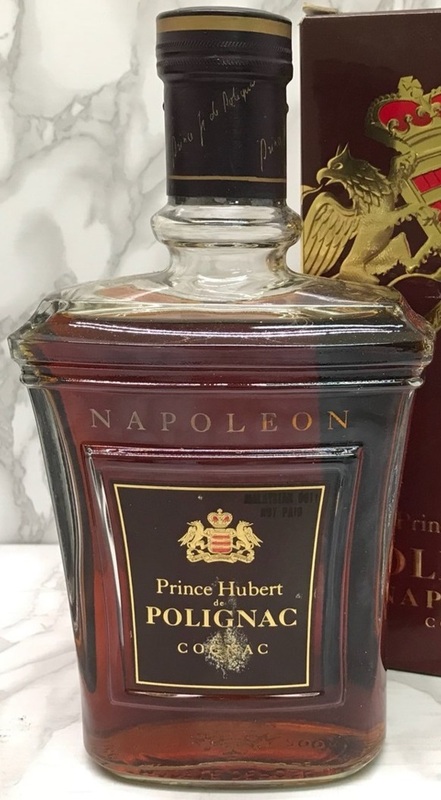 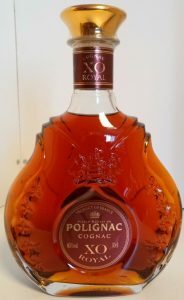 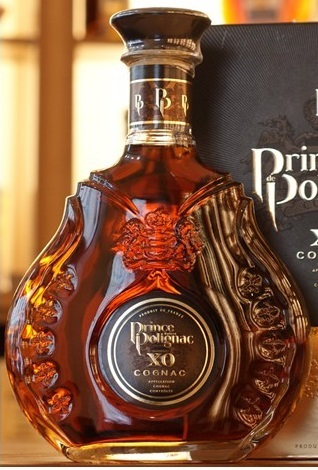 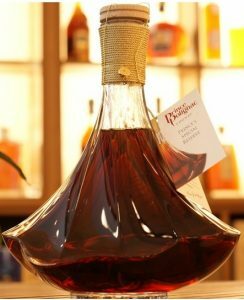 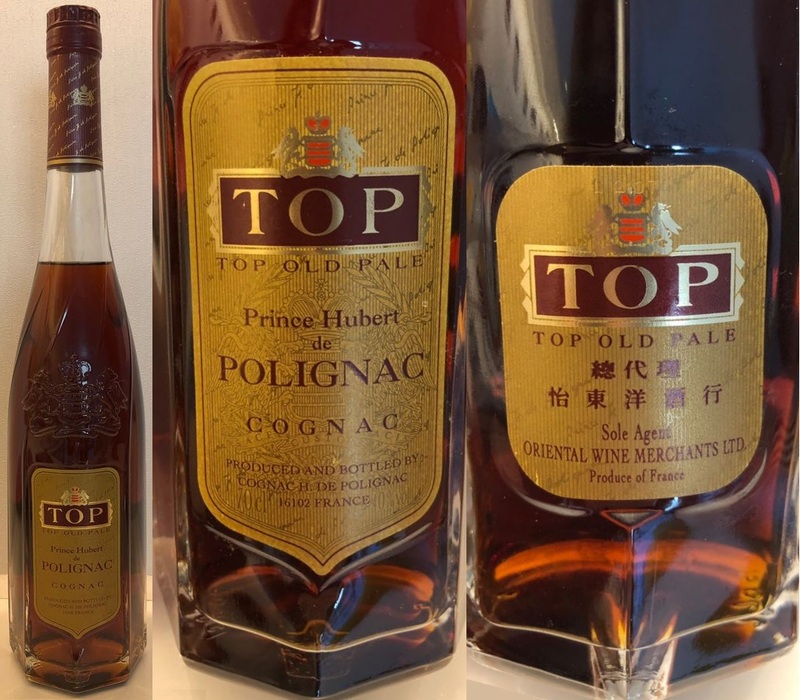 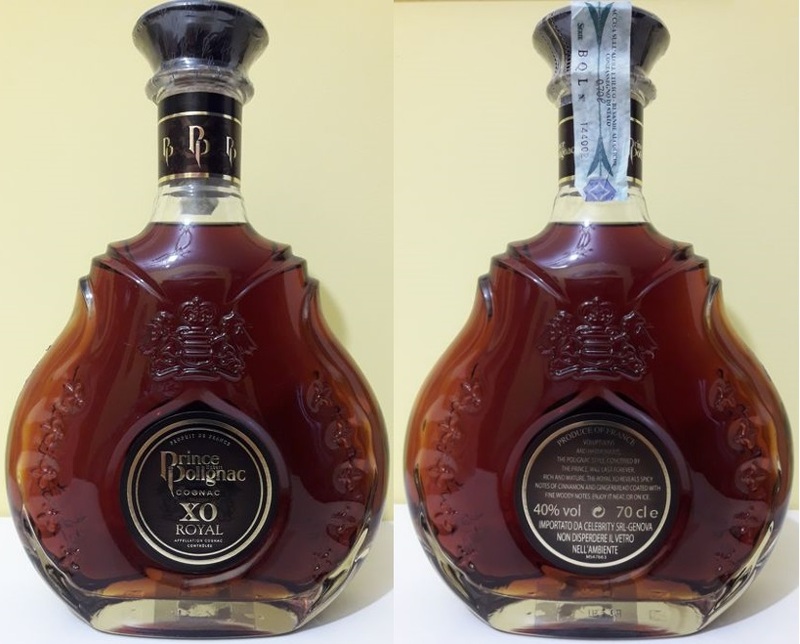 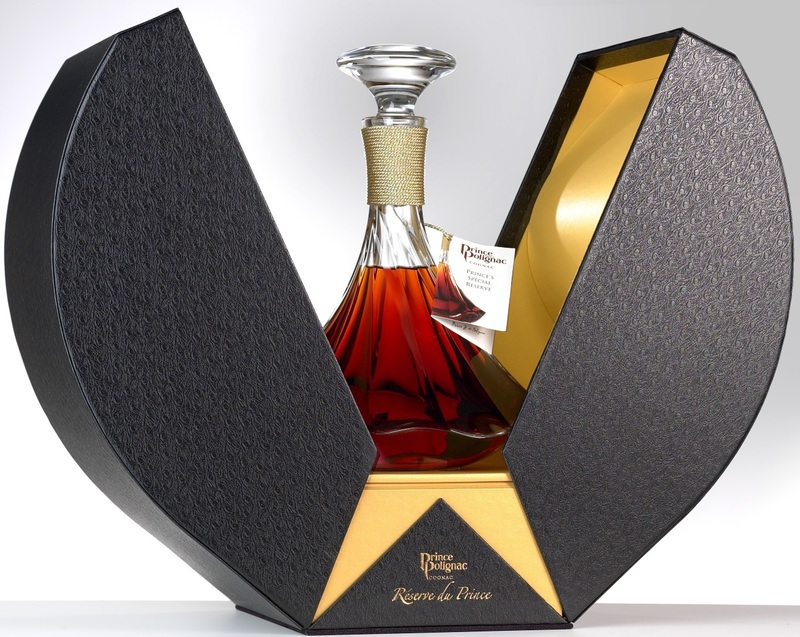 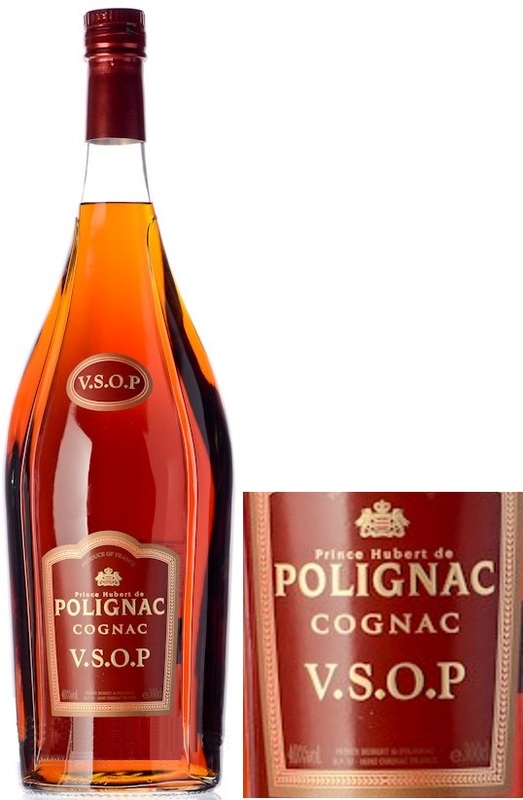 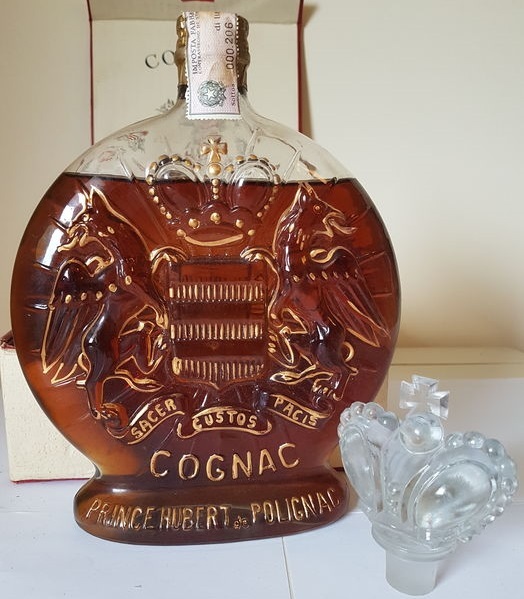 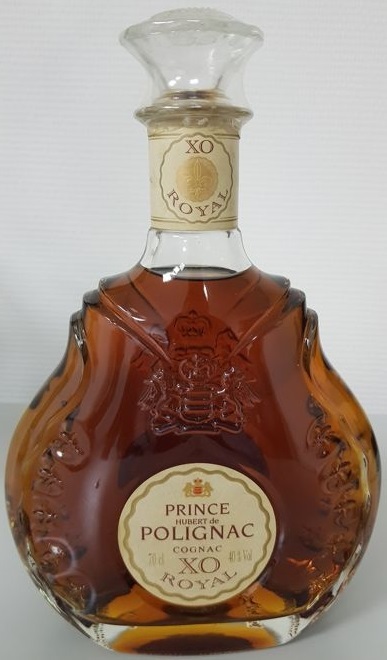 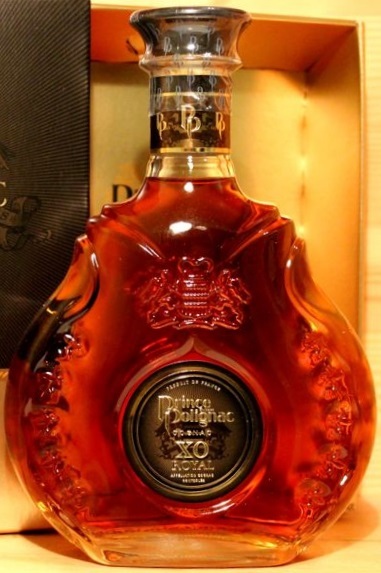 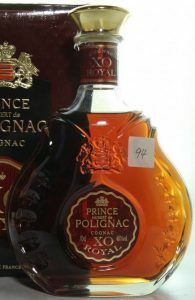 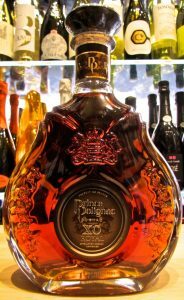 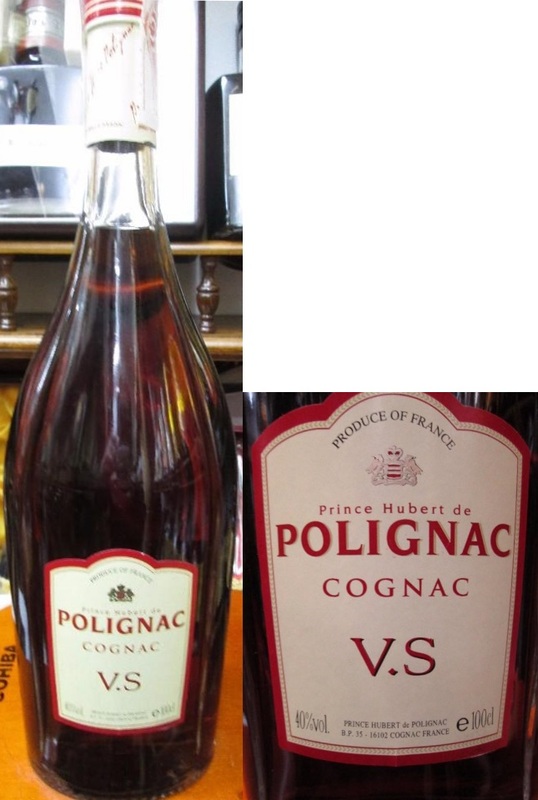 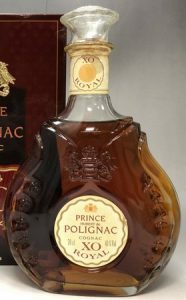 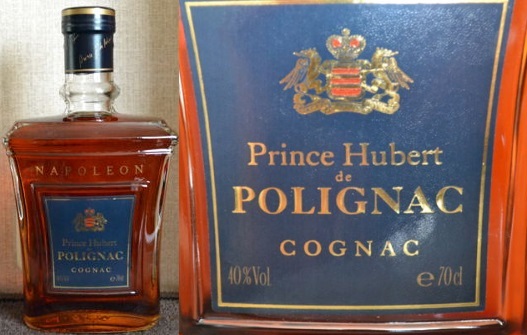 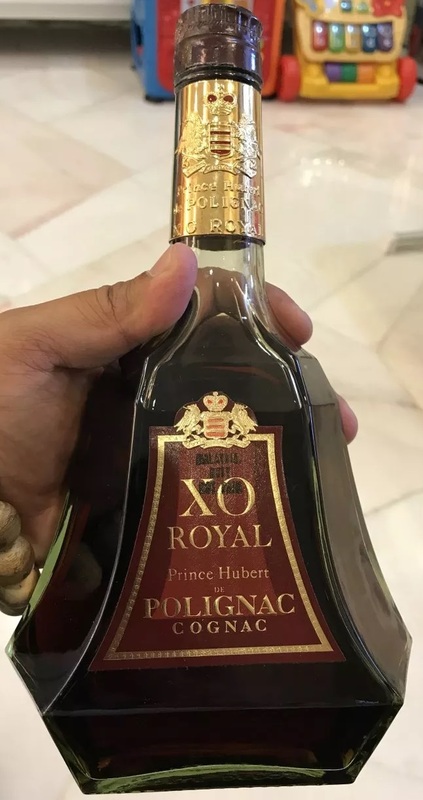 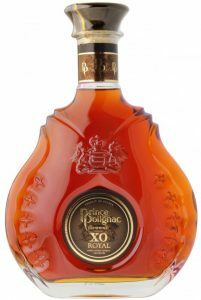 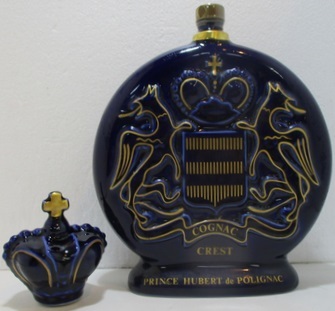 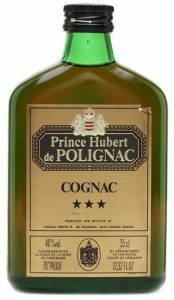 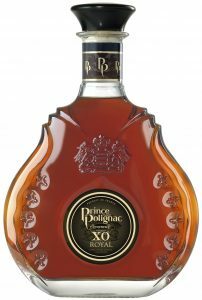 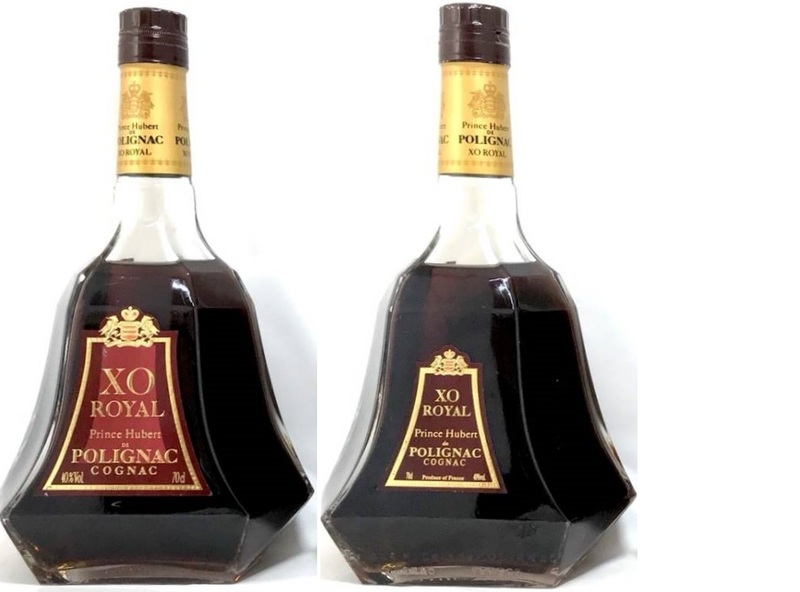 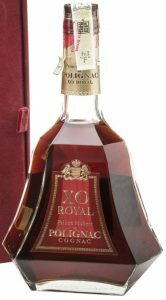 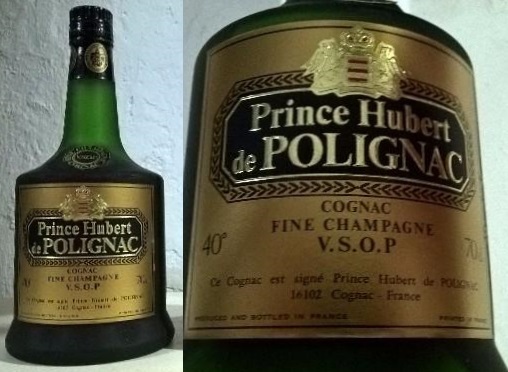 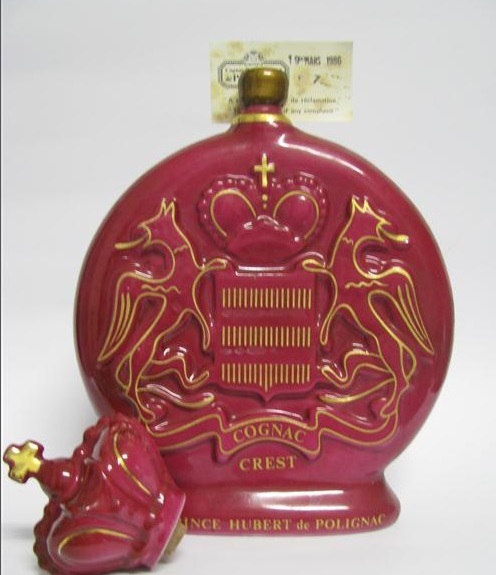 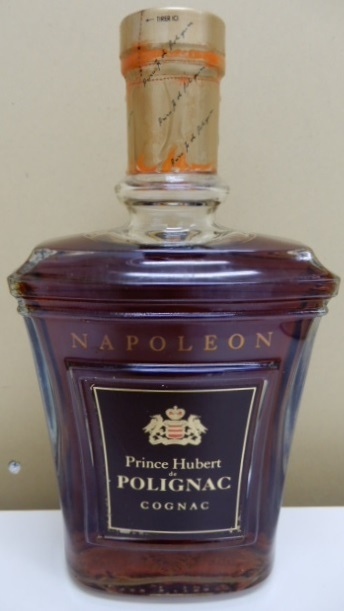 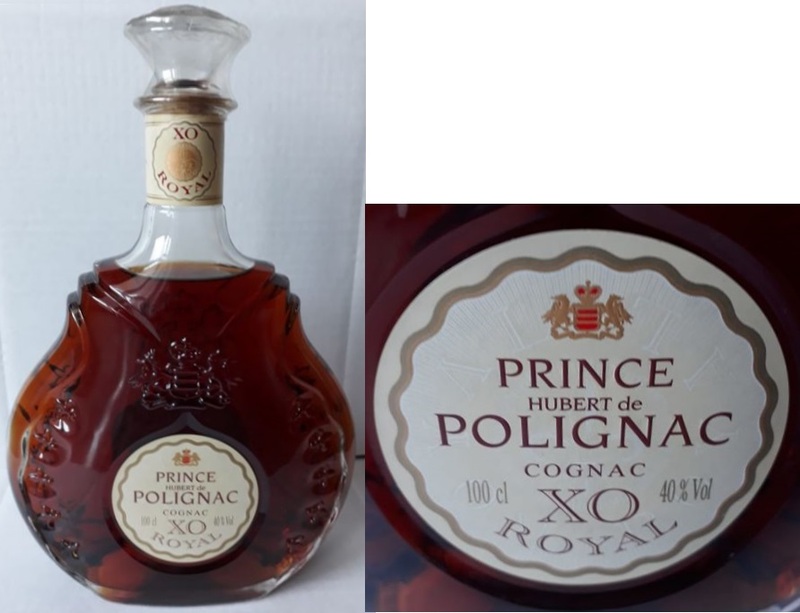 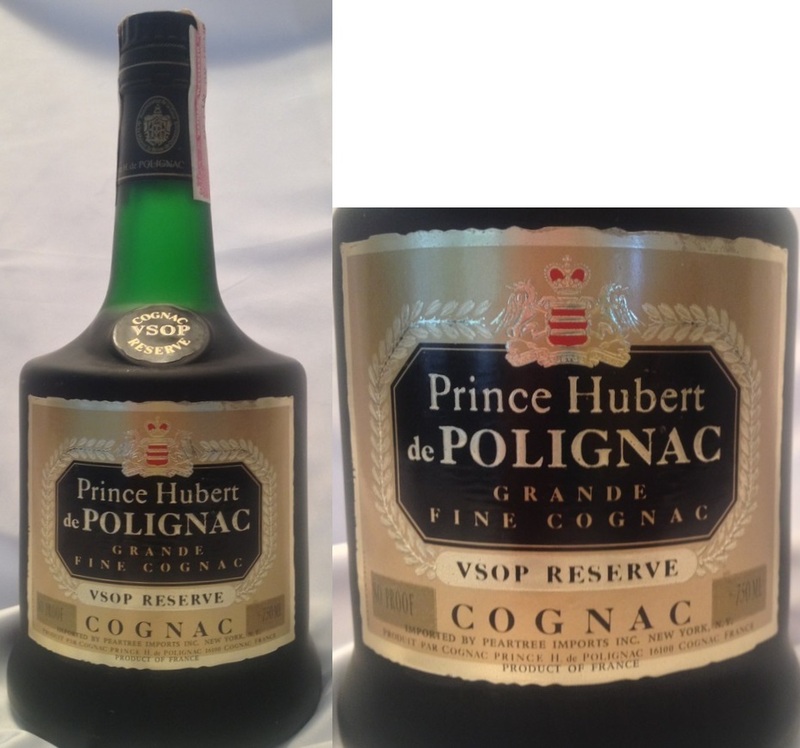 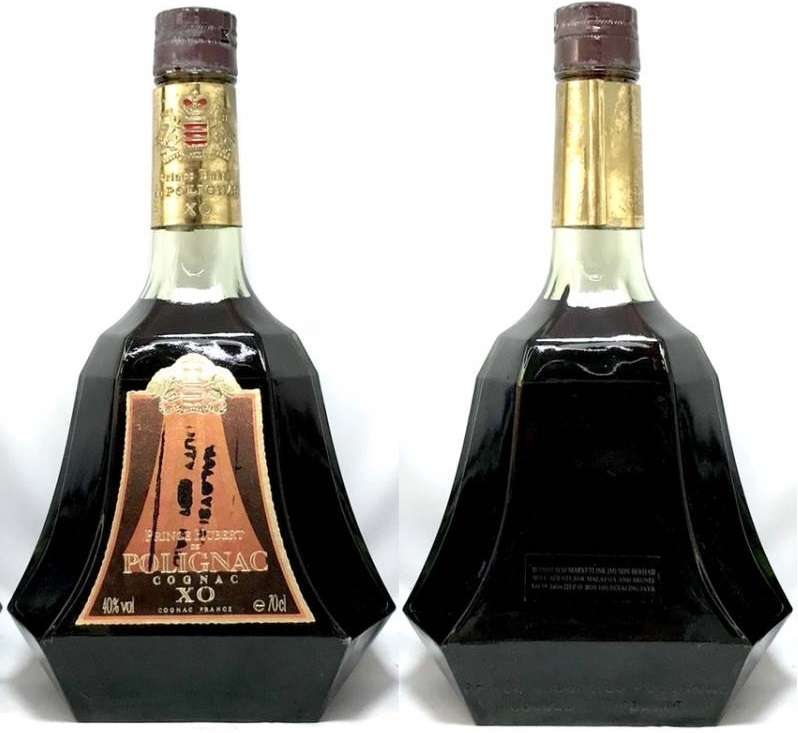 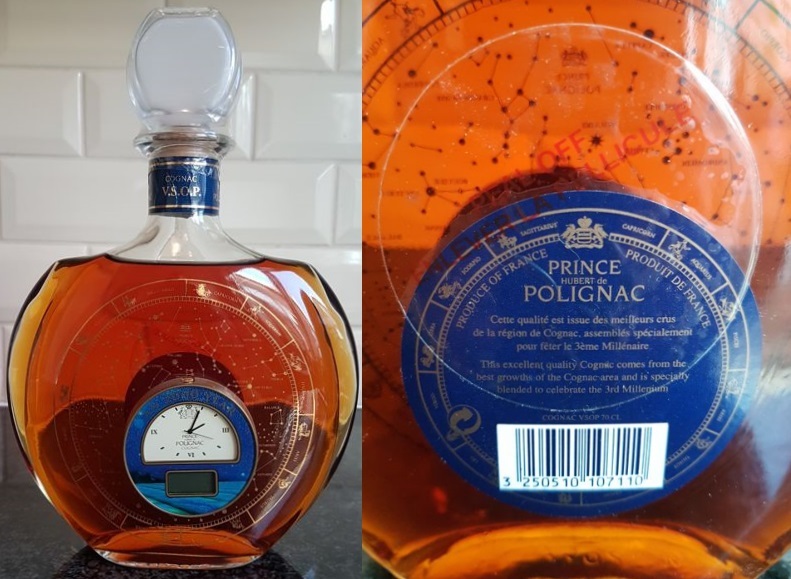 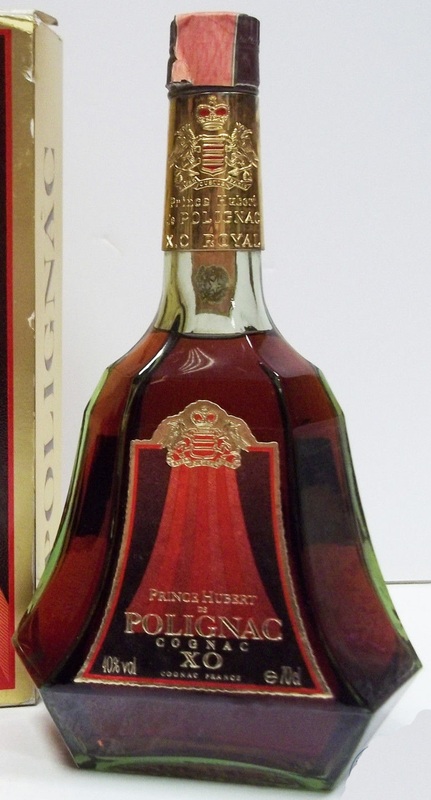 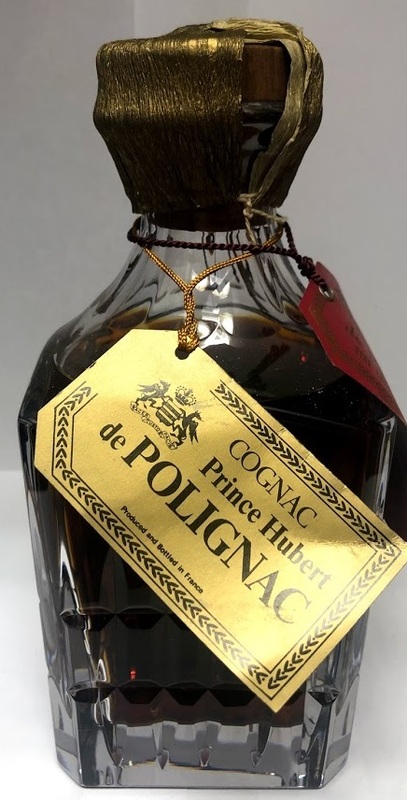 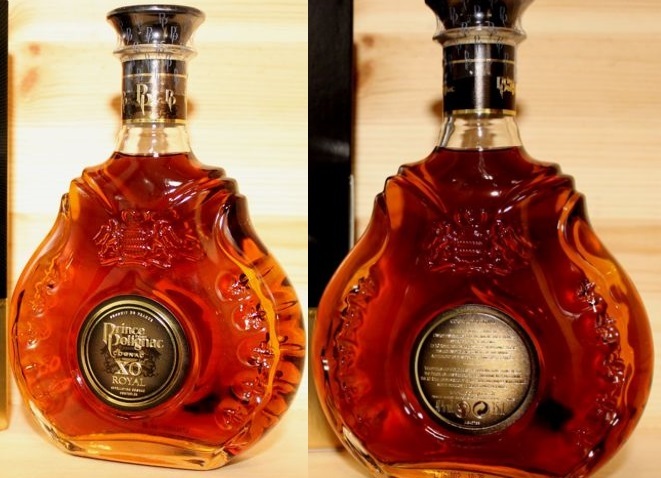 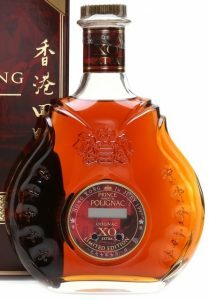 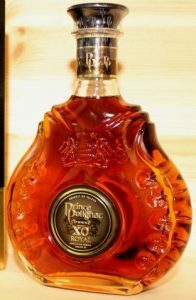 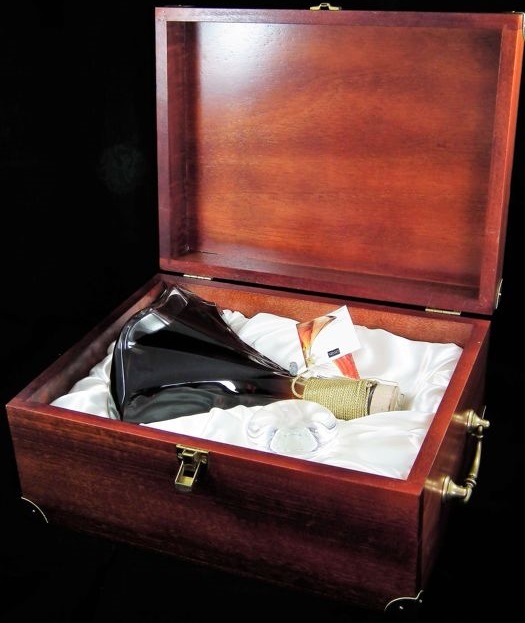 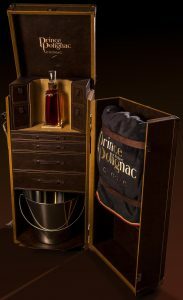 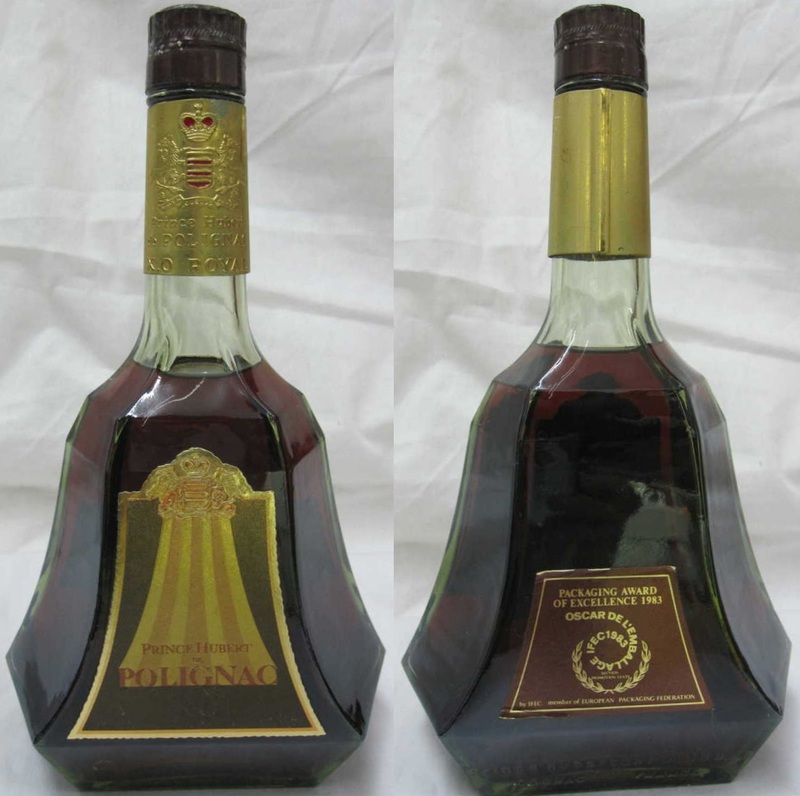 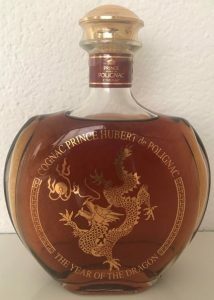 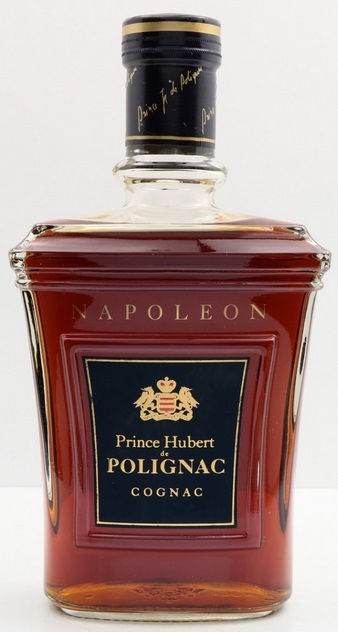 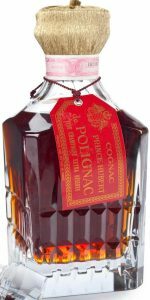 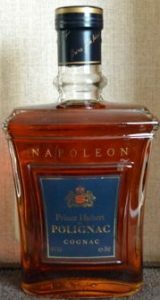 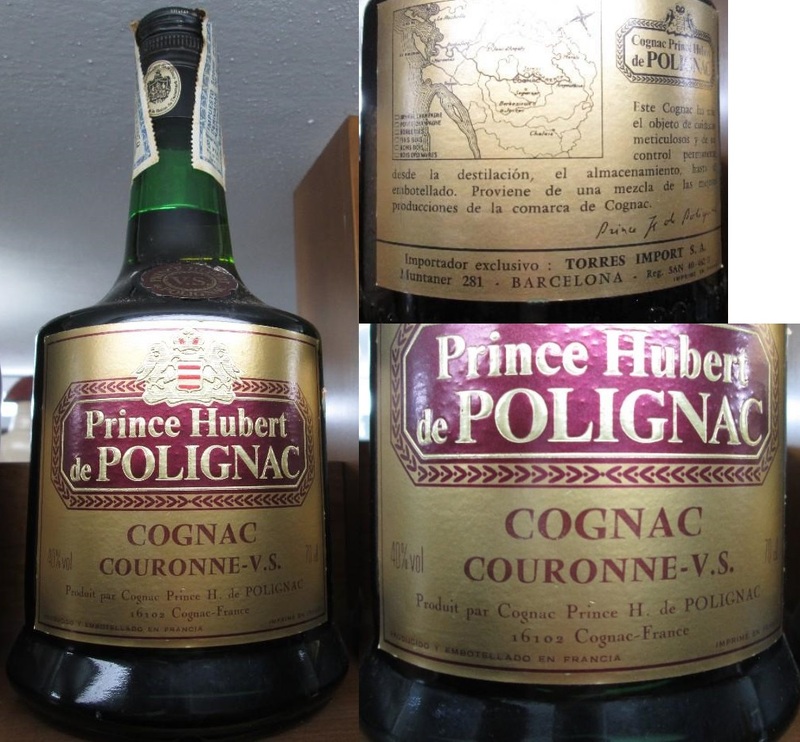 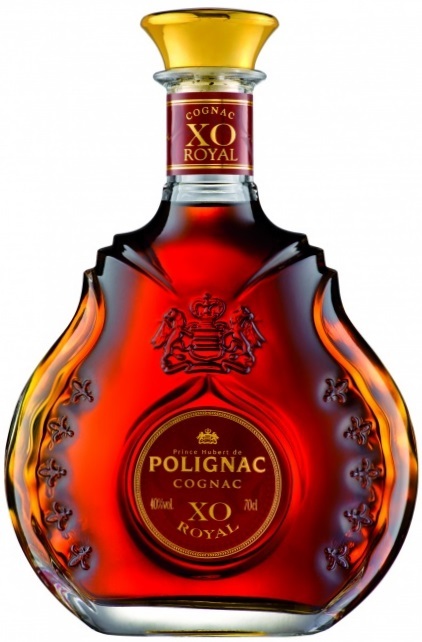 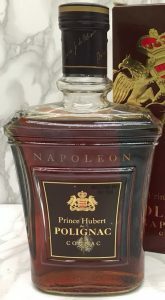 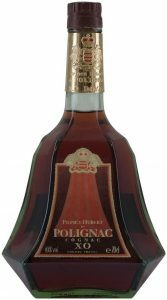 It was the H. Mounier company (established in 1858) who in 1947 obtained the right to use the name Prince Hubert de Polignac from Hubert de Polignac, a descendant of an illustrious French aristocratic family. 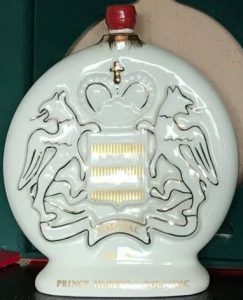 They bought the name and coat of arms of the family. 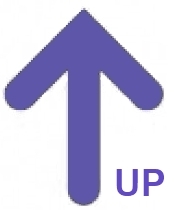 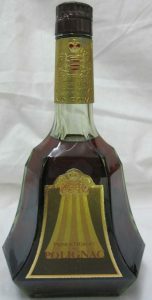 Mounier joined forces with Unicoop in 1960 (not 1969 as some sources claim). 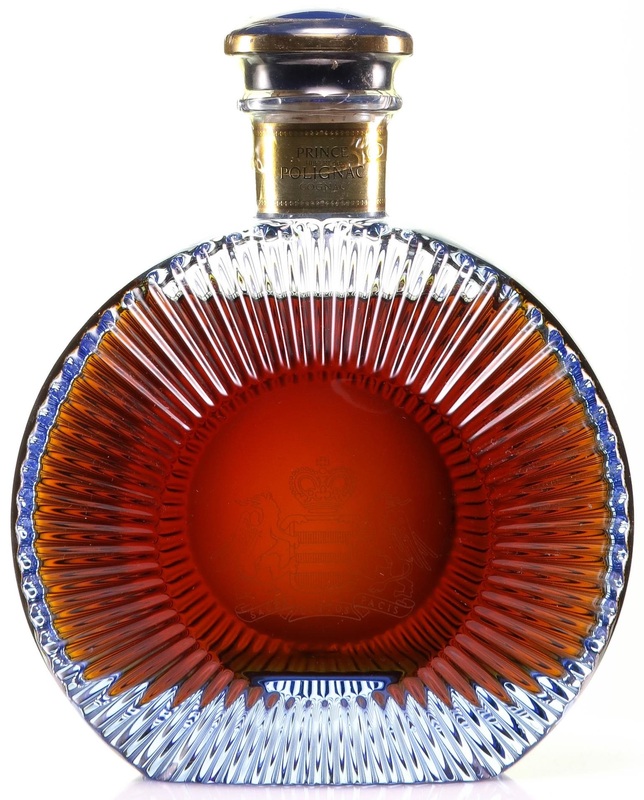 In 1959 the brand became official supplier to the Royal Court of Denmark. Proudly they showed it by putting a little label around neck with the statement ‘Fournisseur de la Cour de Sa Majesté le Roi de Danmark’. 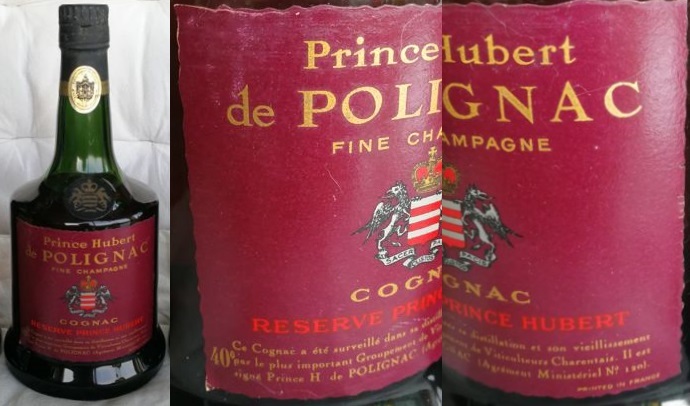 In 1960 on the H. Mounier and Unicoop joined forces, so Prince Hubert de Polignac is now one of the two principal brands of Unicoop. 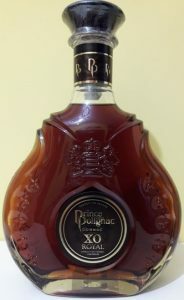 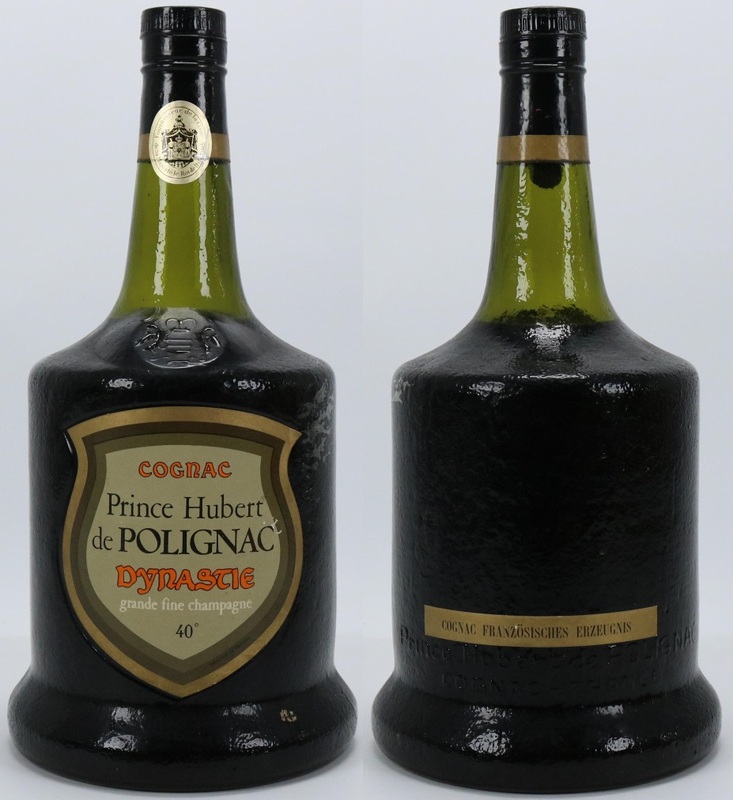 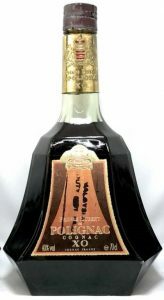 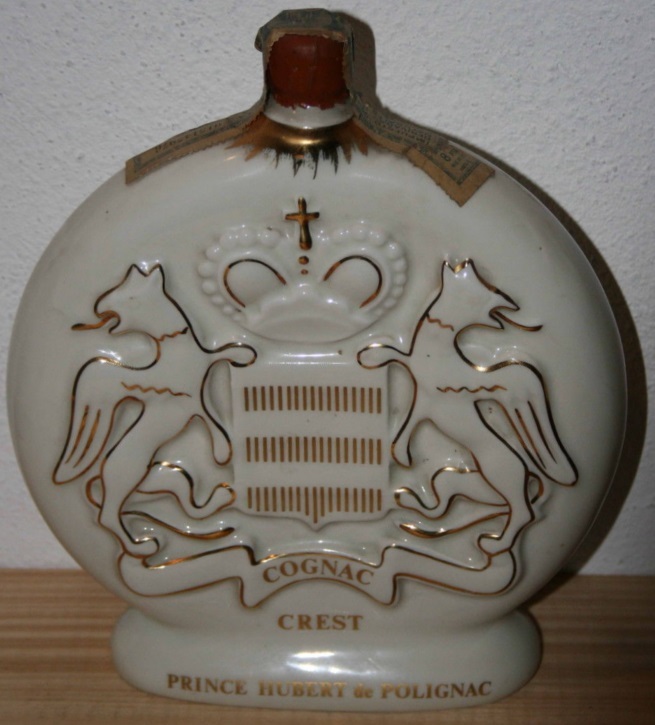 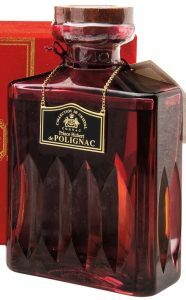 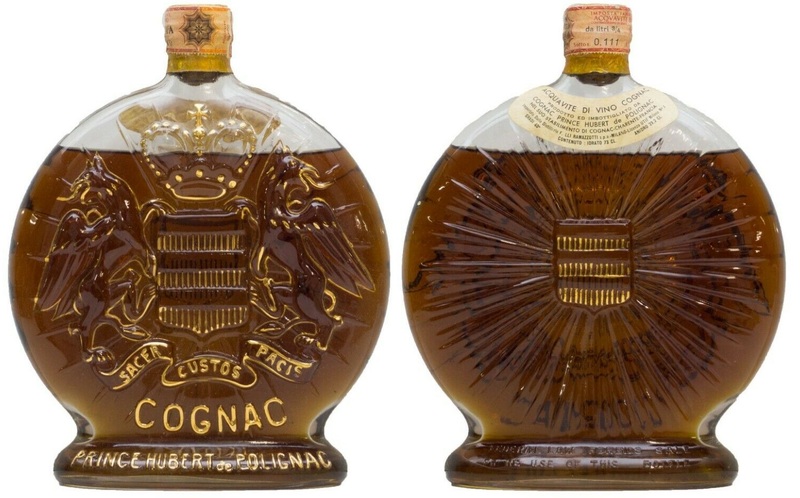 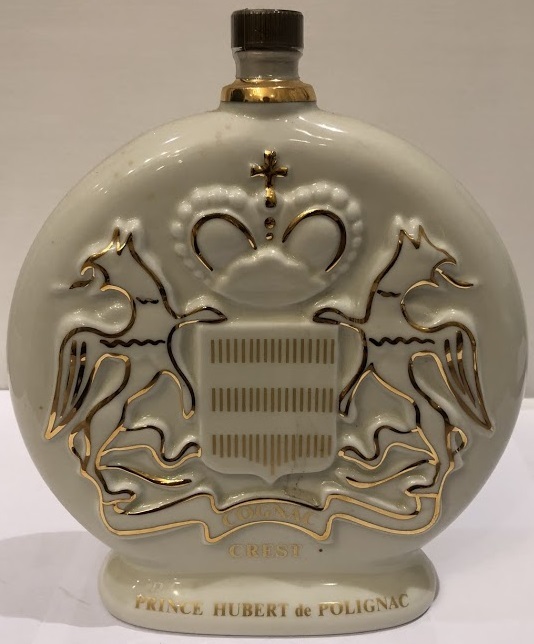 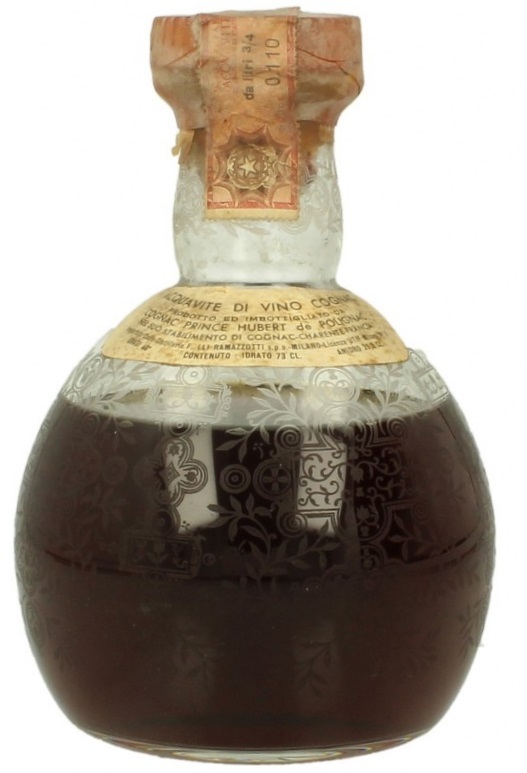 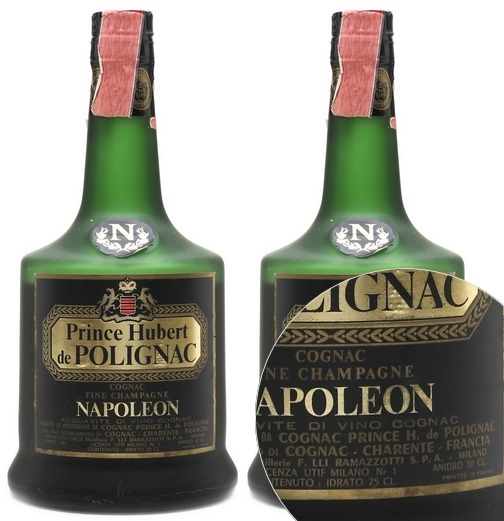 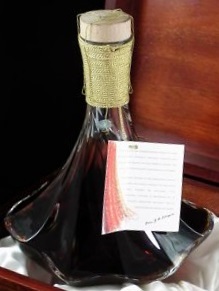 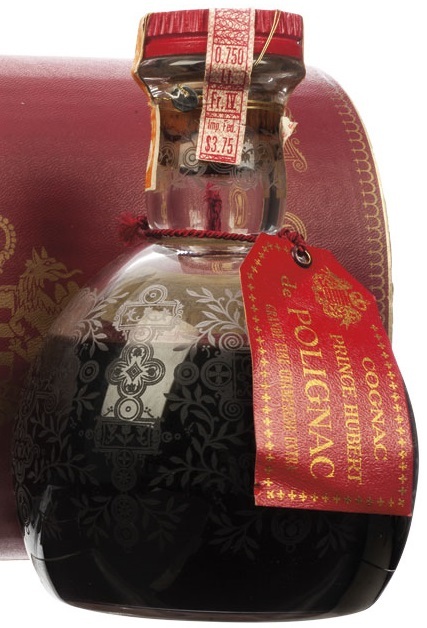 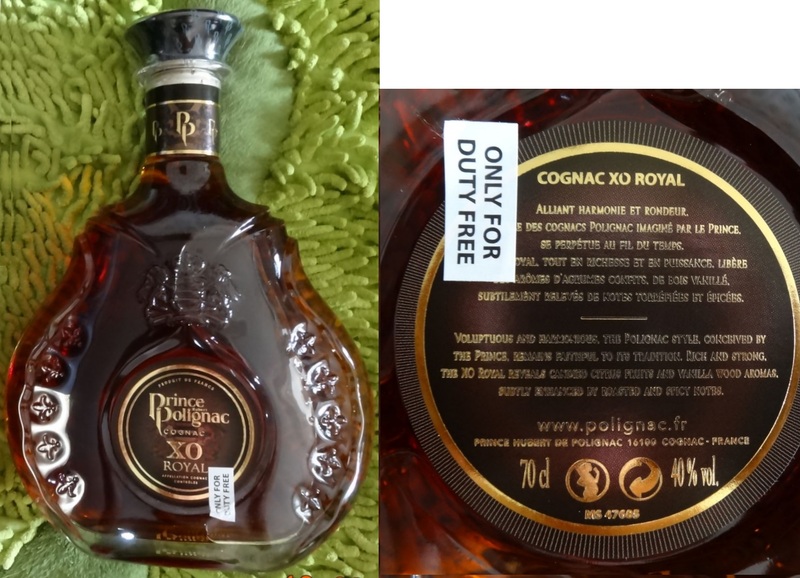 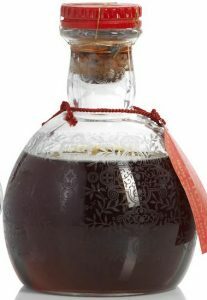 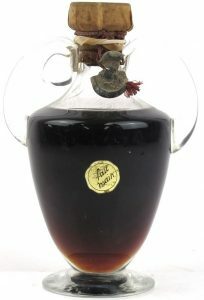 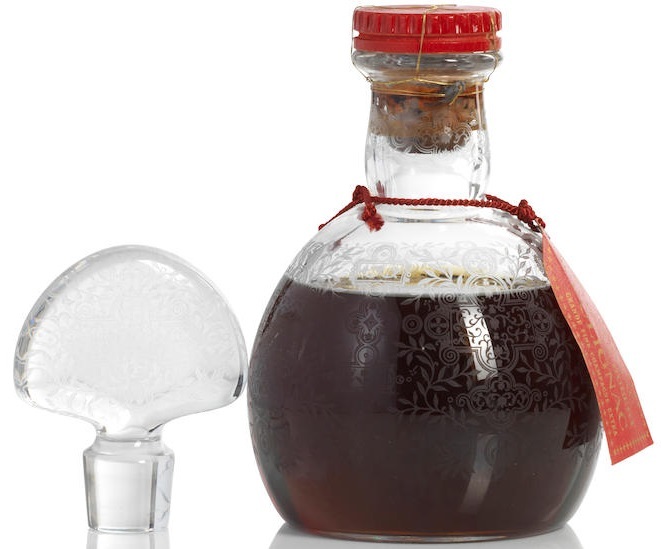 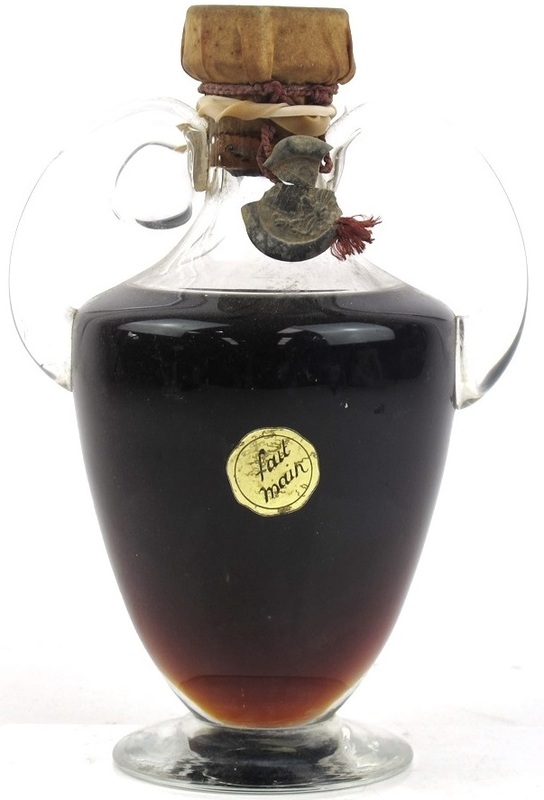 Very characteristic for the old Prince H. de Polignac bottles is their typical shape like this one here, which have been in use for quite some time. 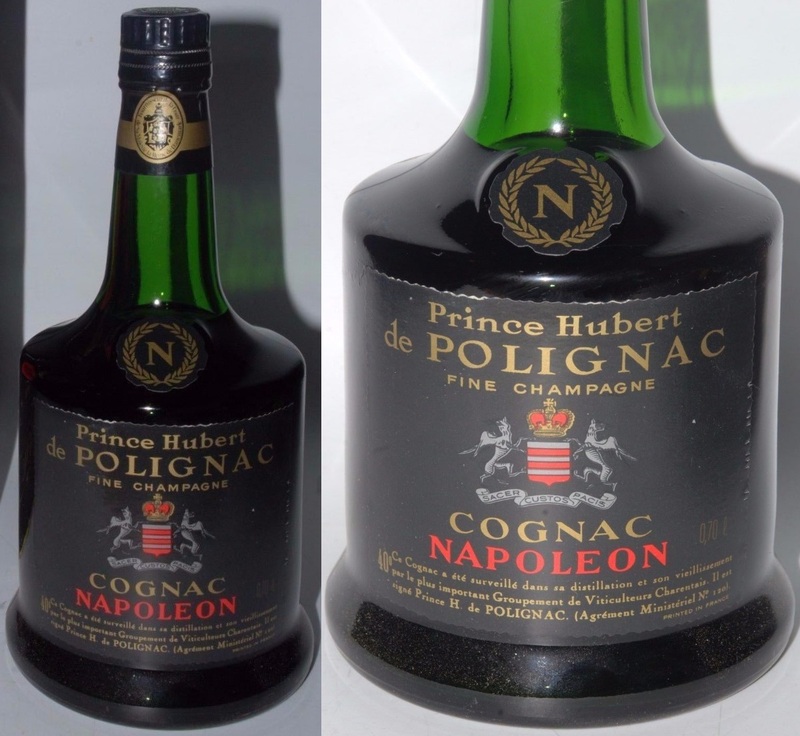 Grande champagne and Fine champagne cognacs were mostly used. 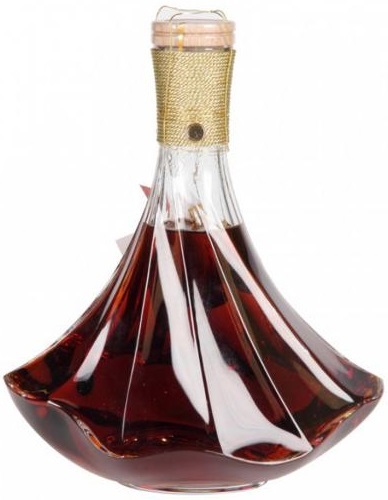 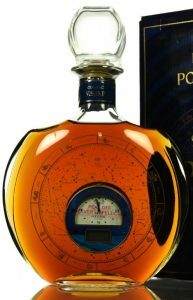 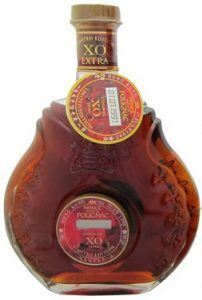 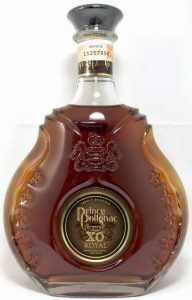 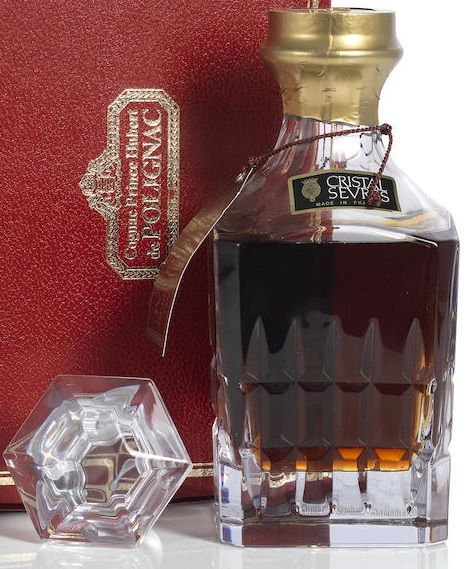 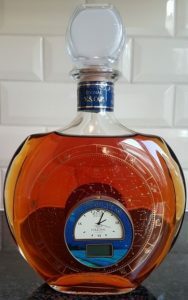 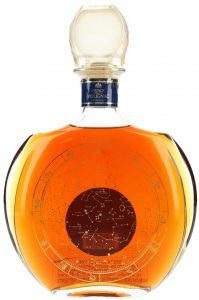 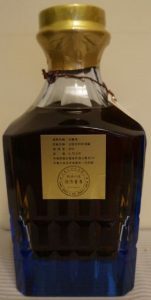 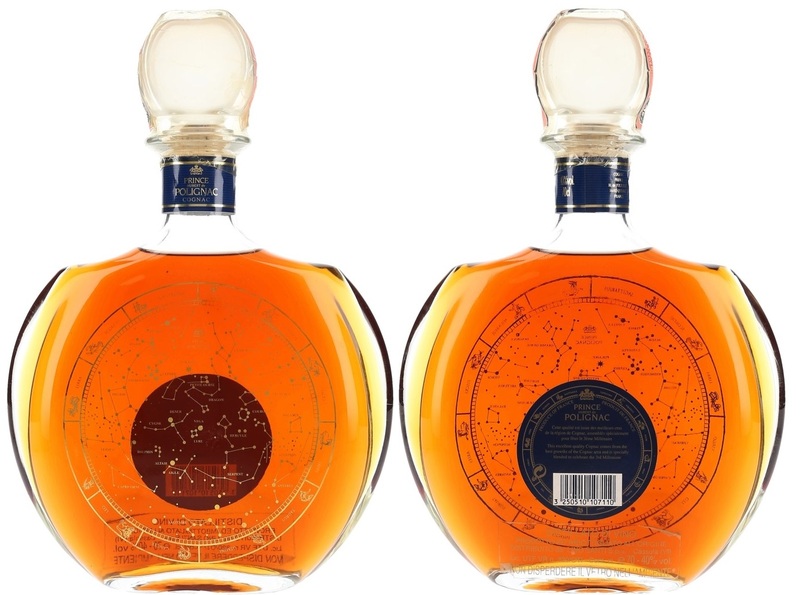 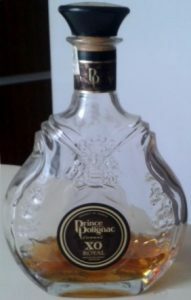 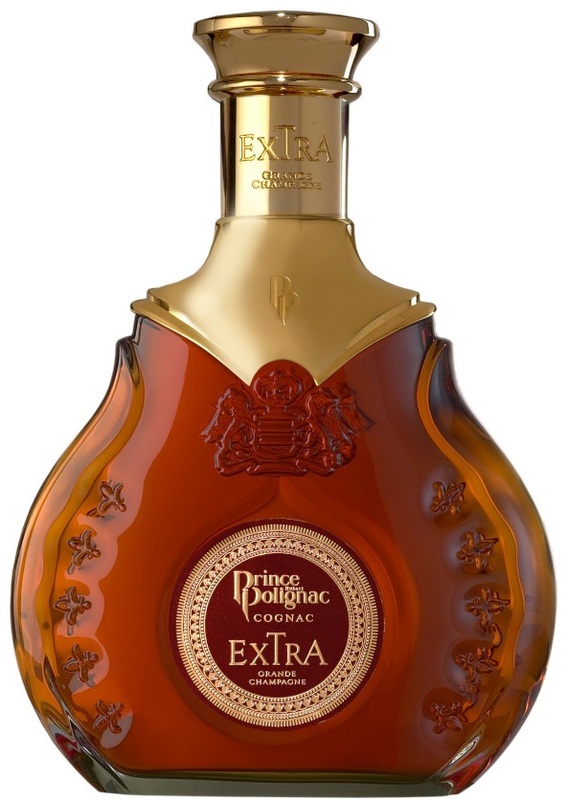 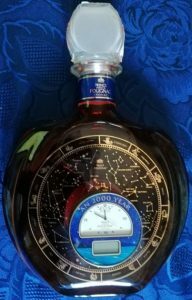 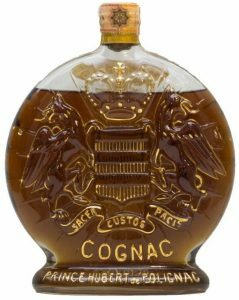 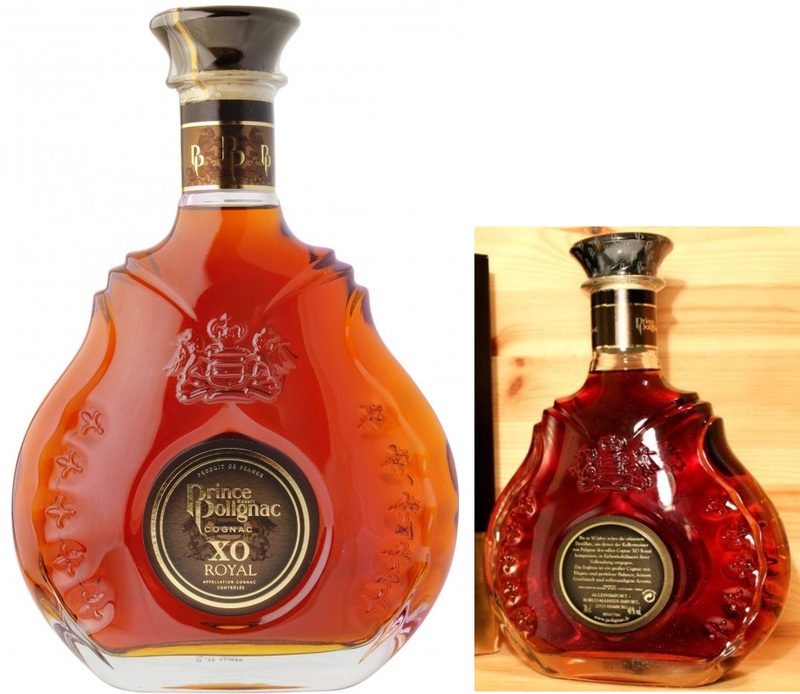 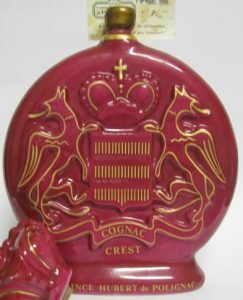 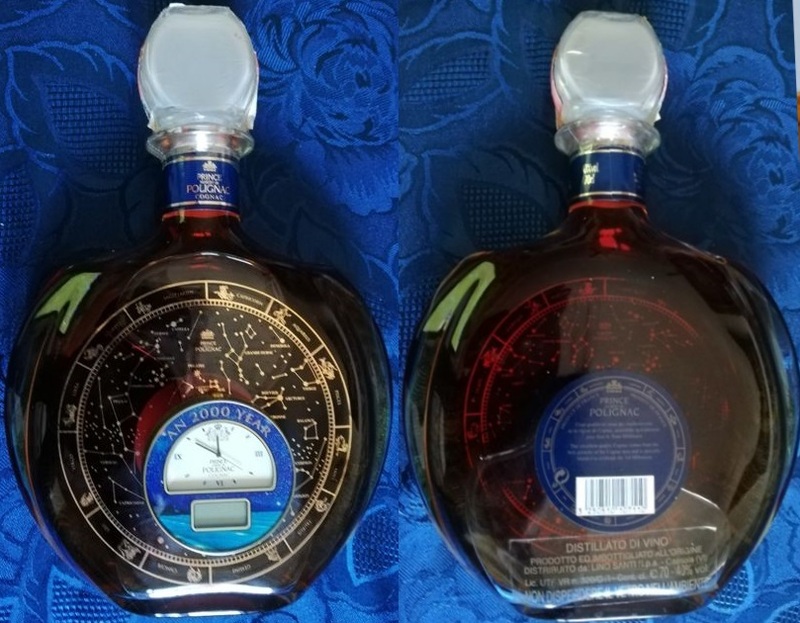 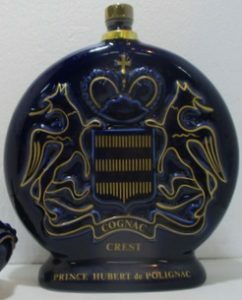 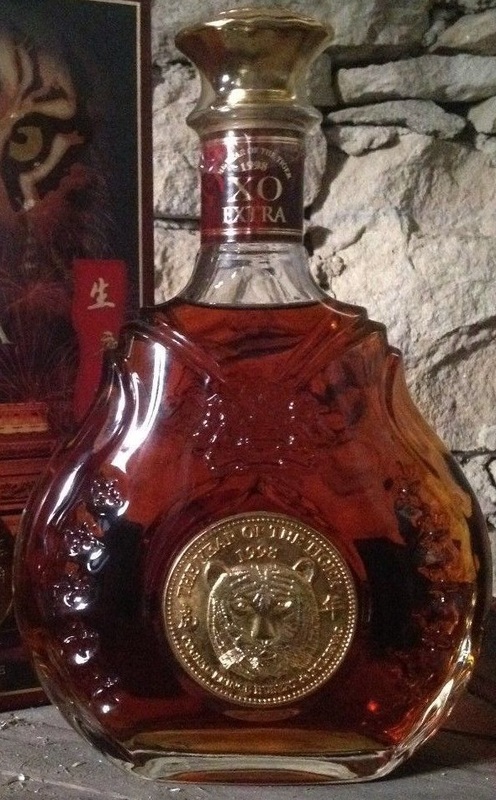 Only the lower grade cognacs were blended with other crus.